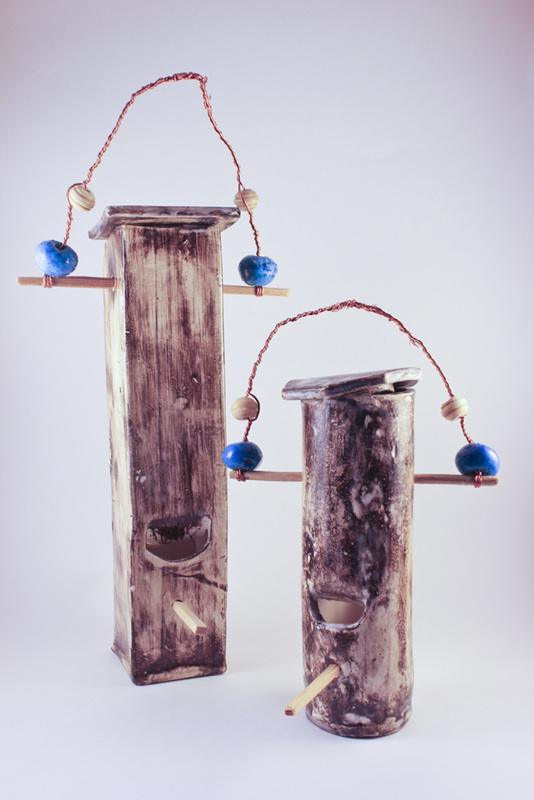 These precious Bird Feeders are designed for attracting enchanted birds to your magical glen. 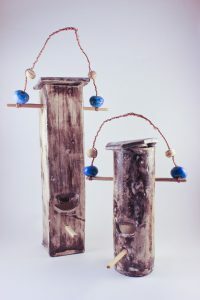 They are made from extruded stoneware clay, with perches crafted from chopsticks and hangers made of twisted copper wire embellished with beading. Made in several different sizes and shapes, finished with Manganese Oxide and Clear Glaze, and fired at Cone 3.